My father was a potter so I have a special affinity for clay. My kitchen in Teotitlan del Valle holds an assortment of San Marcos Tlapazola barro rojo from for cooking. 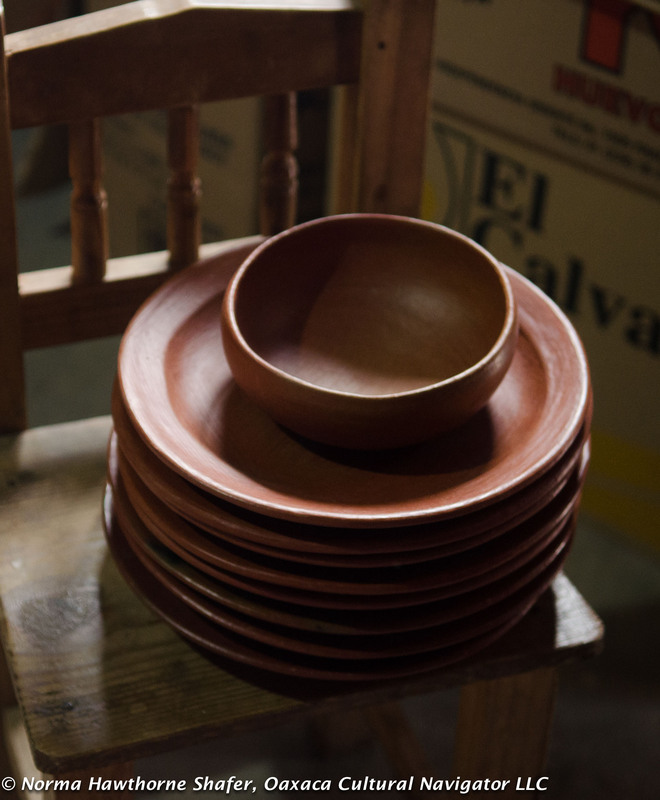 Shelves are stacked with elegant, simple red clay dishes and bowls from which to dine. I love this clay and the women who make it. The village is up the road from where I live. 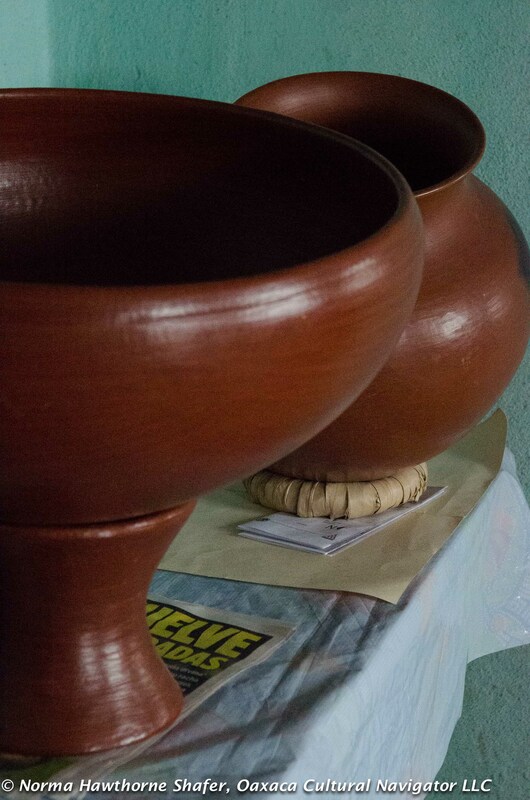 For centuries, since pre-Hispanic times, San Marcos women have made clay cooking and eating vessels, forming the shapes by hand after digging (a man’s job) and mixing the clay. They constructed outdoor wood fires to “cook” the low-fire ware, all the while breathing in the fumes. Recently the cooperative built a smokeless kiln designed by Japanese engineer Yusuke Suzuki. 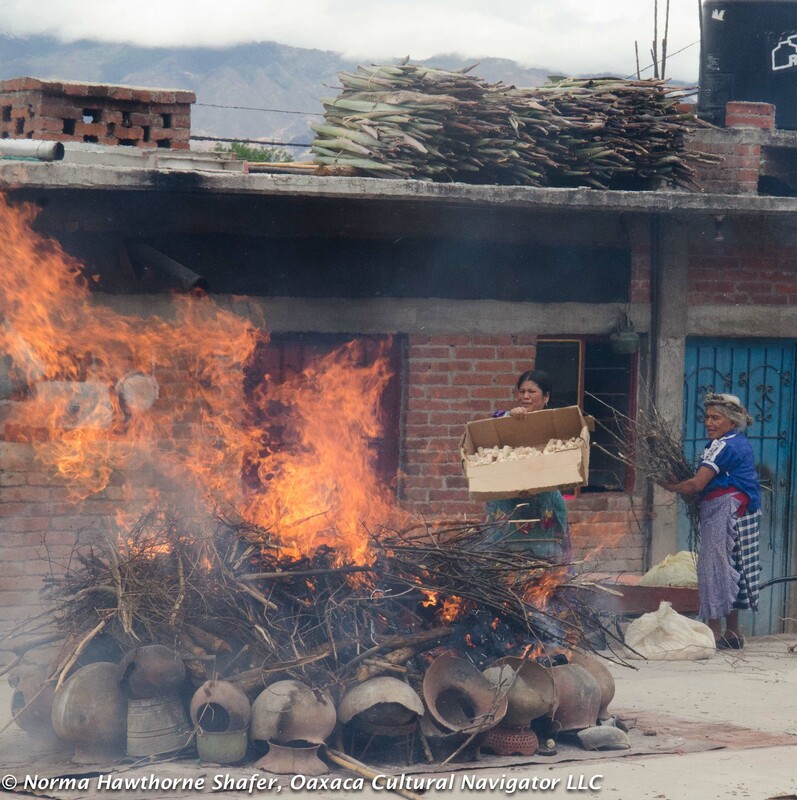 Maestra Macrina Mateo Martinez and 16 families in the cooperative, Mujeres de Barro Rojo, can now produce higher temperature ceramics, more pieces at once, and have better quality respiratory health. This was possible through help from Fundacion Kasuga, Tajin, Fundacion Alfredo Harp Helu, and Andares del Arte Popular FAHHO. They started the non-profit Escuela Nacional de Ceramica (National Ceramics School), to teach others how to build and use the same type of kiln, and celebrate Global Day of Clay with the release of this video. In addition to the women, the video features my godson Eric Chavez Santiago, general manager of Andares del Arte Popular gallery where the ceramics are sold. Today, we join to the celebration of the Global Day of Clay #GlobalDayOfClay we’d like to recognize the work, the passion, ability and interest of all the artisans in our country that make clay a way of life; that every day make an effort to preserve their traditions, maintain the quality of their craft and pass their knowledge, for the new generations to continue this path. México, concerning clay, is rich in raw materials as techniques and designs that date prehispanic ages. Today we release this video, a work done by the great editor Martha Úc and part of her talented video recording team conformed by Mercy Portillo and Claudia Pasos. 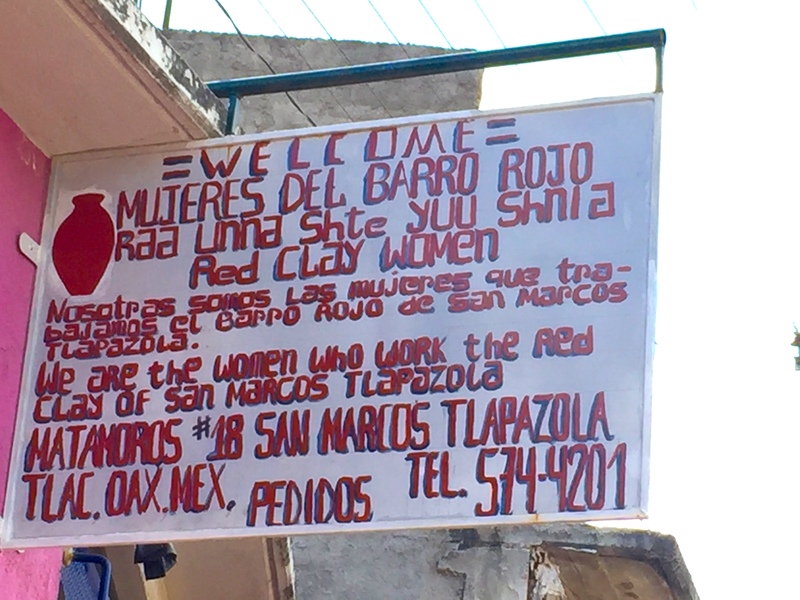 This video is the result of the training that took place last July in San Marcos Tlapazola, Oaxaca with the group “red clay women” and artisans of other pottery entities of the state, to build a “smokeless wood kiln”. This video shows the riches of the clay traditions in the country as the strength of our women.